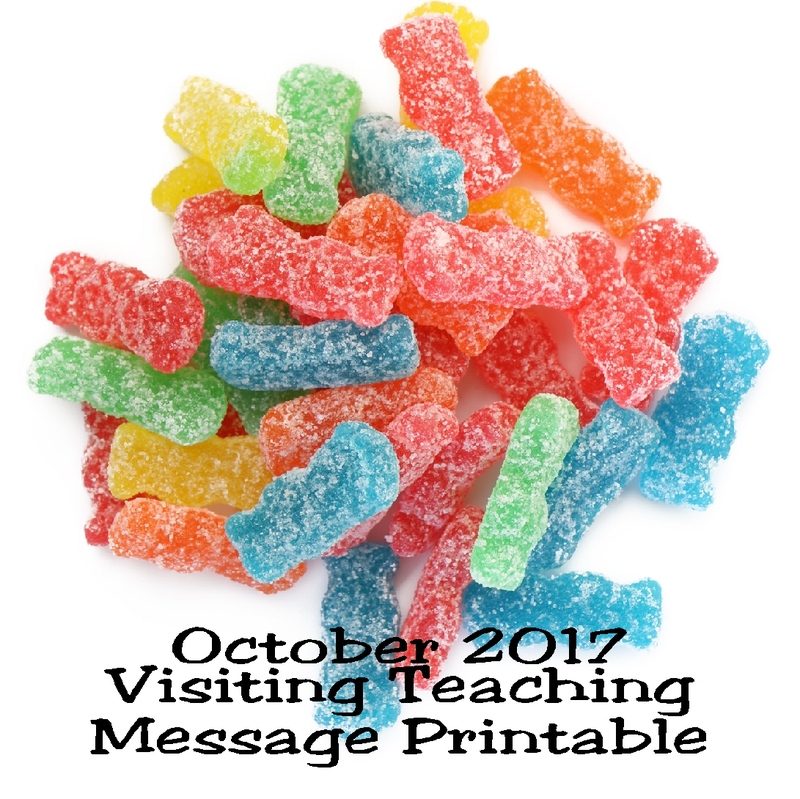 Take a sweet smile to your sisters this month when you visit with the October 2017 Visiting Teaching message printable. This message is a great way to bring a treat or a handout to all you visit teach in October. Being a parent is hard. Really hard. When they place that tiny little human in your arms for the first time and you look down at them feeling a love that you never felt possible before, is a miracle. But it's also the most overwhelming moment. How do you teach them everything they need to know to survive? to flourish? to reach their own potential? Then, as they grow, you find them testing you and their own wings. Sometimes they throw out everything you have every stood for as a family, as a person, and as a mom and you have to watch them hurt and find their way back. President Dieter F Uchtdorf said "The reality is that there are no perfect families....Whatever problems your family is facing, whatever you must do to solve them, the beginning and the end of the solution is charity, and the pure love of Christ." "Heavenly Father loves all His children .. No matter where they are -- on or off the path-- He wants them to come back home" said Linda K. Burton of the General Relief Society presidency. I can only imagine as much as we love our children, that is how our father in Heaven feels about every single person that has ever lived on this earth. 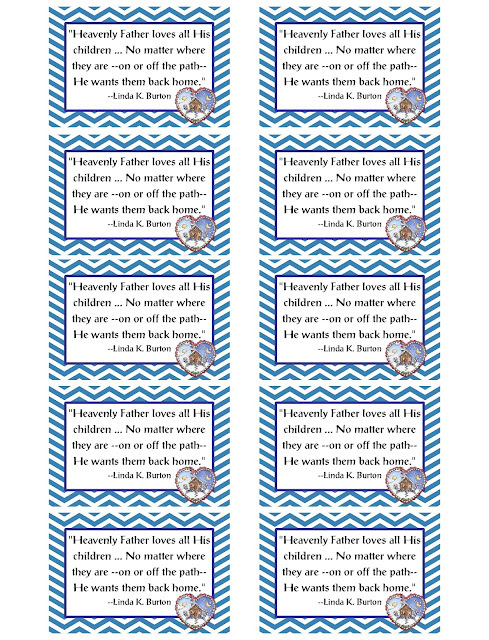 As we go out and visit with our Relief Society sisters this month, take along a little treat or handout to remind them that Heavenly Father loves all his "kids". Whether or not they are on the path back to him or not. 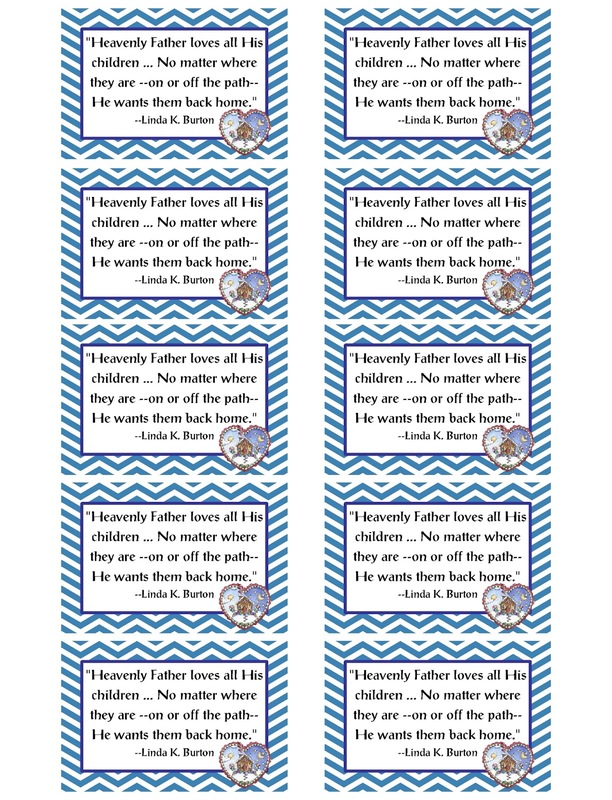 This visiting teaching message printable is the perfect size to place on this business card magnets for a refrigerator magnet, or as a tag with some sour patch kids candy as a treat. How do you handle the stresses of being a parent when your kids stray from the path back home?